Sometimes, the best way to enjoy Halloween is to pick an era and stick to it. And, sure, the Renaissance is one of the top picks, but surely you can kick it up a notch or two and go further back – way back to the time of the dinosaurs. Imagine having a dinosaur-themed party, with everyone dressed as their favorite fanged creatures, stomping around the neighborhood. Now, wouldn’t that be fun? 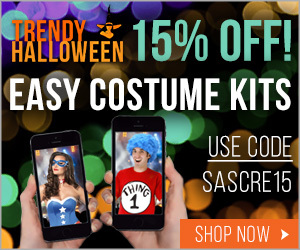 If you’re worried about running out of costumes to wear for that party, then I’ve got you covered. Here’s a list of my favorite realistic dinosaur costumes that you can brag about to your friends. Jurassic Park was one of the many iconic movies of the 90s that made its way into the hearts of both children and adults. I could never forget how tense I was during that kitchen scene where the characters were hiding from raptors. Thinking about it alone brings back memories. This is why I’m so glad when they made a new film in 2015. It helped bridge the generation gap even for a bit when the younger ones were able to finally experience the thrill that the movie franchise has brought to us. 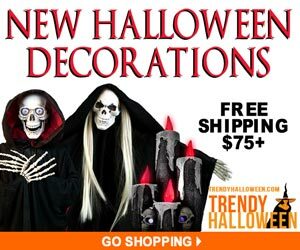 Now, you might be thinking it would be a great idea to dress up as a terrifying prehistoric creature on Halloween, and you are right. This ultimate realistic dinosaur costume will have the kids running in the opposite direction once they see how scary it is. It includes the full head mask, a pair of dinosaur claw gloves, shirt, and pants with the tail. Stomp around the neighborhood for an added scary factor! Since dinosaurs have made a comeback in popular culture, it seems like a wasted opportunity to not dress up as one this year. While the T-Rex has hoarded all the love that people have for things prehistoric, I think it’s about time we showed some support for other dinosaur species. To be more specific, let’s all turn our attention to the triceratops. This giant, four-legged creature comes back to life in the form of an inflatable costume. It may have a lot of horns, but your kids will just bounce off of it. No danger there. 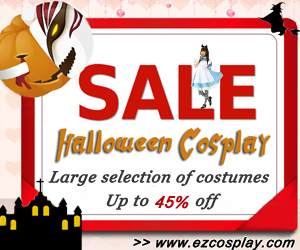 The design surely is child-friendly, and you can definitely make a HUGE impression wearing this costume this Halloween. You can even use this at children’s birthday parties. Go ahead and try it out if you’re not looking for something low key and subtle. Speaking of making big impressions, here’s another obnoxiously large dinosaur costume that will surely make it to the more impressionable costumes at this year’s Halloween party. It consists of an inflatable jumpsuit that has a built-in fan – because it can get pretty tight in there, trust me. The fan gives you some breathing room, and you don’t have to worry about it getting too hot while wearing this costume. It also comes with a battery pack for the built-in fan, and a manual if you need help setting it up. Before you go on assuming that it’s a pain to put on, hear me out. The battery pack can be clipped onto your clothes, and once you put in four AA batteries, you can just connect the fan to the pack and then turn it on. See? Easy as pie. Don’t miss the chance to be a destructive giant this Halloween and gear up with this awesome costume! Another frightful creature from the Mesozoic Era is the velociraptor. They’re smaller than your typical dinosaur, but they are horrifyingly quick and they will most definitely come after you despite their size. Remember that scene where a velociraptor decided to take on a T-rex? Well, it lost, but it just means they know the odds and don’t care about it. They’re ferocious little critters! This year, you can show just how quick and cunning you are in this inflatable velociraptor costume. Unlike the cute and fuzzy ones we see, this is a more realistic dinosaur costume. Although the fact that it is inflatable may put off some people, it’s all in the spirit of good, fun, and entertaining Halloween parties. You can even keep this costume and wear it on a child’s dinosaur-themed birthday party. I’m pretty sure you’ve already seen the countless viral videos featuring this Jurassic World-inspired realistic dinosaur costume. This inflatable T-Rex comes with the jumpsuit with an attached hood and battery-powered fan. It also has a pair of gloves for its short, short arms. Gone are the days when everyone made fun of the T-Rex for not being able to reach the top of the cupboard. Well, it still can’t do that, but with the new respect it got from the public, everyone wants to be the T-Rex now! 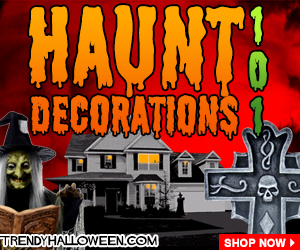 You’ll be a total hoot at the party when you strut your way there wearing this costume. Make sure you make the most of it and give everyone the fun and excitement they deserve from the legendary T-Rex. It should come as no surprise how much love I have for the T-Rex. It’s a ferocious beast, creeping around museums to hunt you down. It’s a meme, showing everyone that no matter how many millions of years have passed, there’s no stopping you from making your mark still. 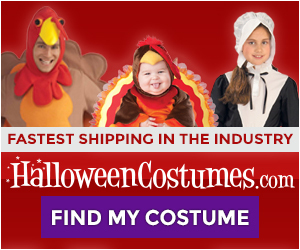 Now, with this realistic dinosaur costume, you can have it all. It’s available in both standard size and extra-large. This costume set comes with a jumpsuit with shoe covers. The tail can be stuffed with pretty much anything you can use to make it look like a tail. To some, this could be a hassle, but I’ll give it passing score because it means it’s easier to store when you’re not stomping around your neighborhood on Halloween. Didn’t find what you were looking for? 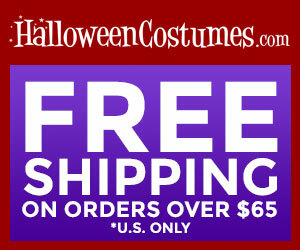 Check out our collection of high quality costumes, or check out the list below for more options.